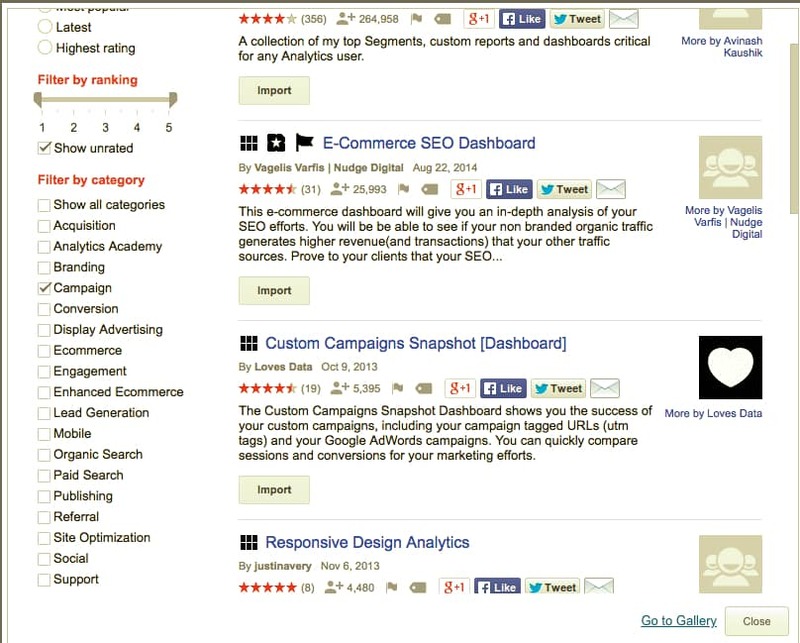 Oogur helps marketers efficiently build and manage digital marketing campaign links. These are a few of our favorite tips. Sign up for an account today! “Where do I find UTM data in Google Analytics for the links I’ve built?” is probably the most asked question that we receive either in verbal discussions or incoming Drift chat sessions. Getting to the Campaign report in Google Analytics is pretty easy. Navigate to the Acquisition tab on the left side panel navigation. Click that and it will expand. Inside, you’ll see the Campaigns link. Click it. Select All Campaigns. Now you’ll see a list of your Camaign Names (utm_name). To be sure that you are seeing the data you’d like to for the time period of time relevant to the report you are hoping to generate, look in the top right corner of your Google Analytics console for the date selector. Is that date accurate? If not, adjust it before proceeding. Above the list of Campaign Names, you’ll see a button that says “Secondary Dimension”. This is where the hidden gems live. Click Secondary Dimension. From the drop down, you’ll be able to select data to diver deeper into the UTM reports. Commonly selected UTM’s you may be seeking are Source/Medium. Click it, and you’ll see the utm_source and utm_medium next to the utm_name. That will tell you which Source and Mediums drove the traffic to your campaign. If you used utm_content, select Secondary Dimension again. Now scroll down to Advertising and expand that section. utm_content is a.k.a. Ad Content in the secondary dimensions. Have some fun! With your Campaigns still showing, you can also start to drill into your traffic a little further. I like to explore which cities my users came to from the campaigns I am analyzing. Information like device type (mobile/desktop/tablet), new or returning user, and exit page are also valuable to understand. A few months ago, I wrote a post sharing a shortcut that I value. Loves Data has created a really easy-to-use campaign dashboard that you can install from the crowdsourced “app store” if you will. Check it out here. Has this been helpful for you? Reach out on our chat widget in the bottom right of our site if you still have questions. I am more than happy to help you! Contrary to popular belief, print doesn’t have to be dead. There is something that digital collateral will never be able to replace; the feeling of holding a physical card, flyer or brochure in your hands. Additionally, there are still posters and signs printed and hanging everywhere you look. I have a client who advertises their business in trade magazines and at tradeshows, and until today, they haven’t been able to quantify what the advertising money they are spending is returning. My client had a last minute sale for which they needed ads created. One of the ads was for a digital vendor listing and the other two were a print and digital magazine. The reason I am writing this is because the print magazine was involved, and I had to be creative. Being the digital marketer obsessed with tracking the performance of campaigns, I did what I could with tools that are quick and easy to use. The hope is that readers will scan the QR code that was included in the ad. All campaigns should include links that are tagged with UTM parameters. Without them, you’re really not doing your due diligence to track performance. If you’re like me or any of my clients, it is important to know how the money spent is working. I use oogur to build all my Google Analytics trackable links. Determine the name of your campaign: What are you promoting? What month/season/year/product/event is it pertaining to? Come up with a campaign name that you’ll use to group all the emails you’ll send, ads you’ll create, social posts you’ll share, blogs you’ll write, etc…. Add this as your utm_campaign. If you are using different images on each of your deliverables, differentiate those links by specifying the creative or CTA in the utm_content. The QR code was created with a tool I searched and found. There are a bunch of them out there. When creating the code, I used the UTM tagged and shortened link that I built in oogur. The client will not only see shortened URL clicks inside oogur each time someone scans the QR code, but will also see the campaign performance in Google Analytics all the way down to the specific graphic name (utm_content). I also set the client up with a Leadfeeder account. Leadfeeder is pretty fantastic. The application will allow the client to segment incoming traffic by UTM data. 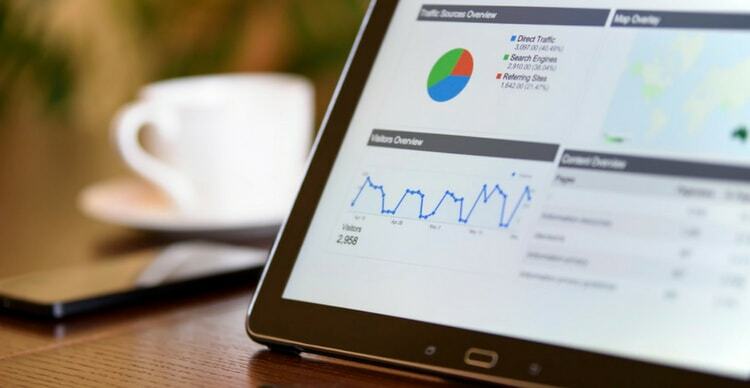 It connects with Google Analytics, so the marketing team’s work becomes visible to the sales teams without the sales team needing to run any reports in Google Anlaytics. Why does this matter? It will arm their sales team with valuable insight into the companies that visited the site from the ad. It will display the pages visited and who works at the company (based on a LinkedIn integration) so they can reach out with relevant conversation to ideally shorten the sales cycle. The moral of this story: Using oogur is a small step that should be taken by your marketing team to set your sales teams up for success. The only thing missing from the equation is call tracking that Aloware provides. We’ll get there for the next campaigns. That is a game changer. If you’re not already tracking calls with dynamic phone numbers, you’re missing out on some pretty sick information that your sales team would really love you for. Speaking as a marketer whose roles have intersected with business development, sales, and customer/technical support; one thing I know is that these departments should be talking. Assuming you agree with both of my above statements, you should start thinking about how you can make the conversations happen. We’re all busy. Nobody wants extra meetings on their calendars, so coming up with creative ways to have these conversations and create alignment is a must. The discussion doesn’t necessarily have to be in person. While hosting a weekly in-office stand-up would be nice, in today’s work environments, it isn’t always possible. Remote workers can dial in using a video conferencing platform like Skype or Zoom. If it is just a quick screenshare demo of a question that tech support receives frequently, they can use a tool like Loom to record audio while they talk and include the screen as they navigate around a topic. AND – to make it even more personal, they can include a little window of their face (video or avatar) in the lower left corner of the video! Another quick way to share tips can include setting up a Slack channel specifically for communicating hot topics. In the channel, you can have the discussion around each tip in threads for each, and share supporting links to help the marketing team create sound, helpful content. Trello can also serve as a great tool to help the marketer manage the incoming tips so they don’t lose anything or get overwhelmed by all the great feedback from the team. This overlooked tip is one that I’ve shared for years. It’s an easy one and typically the sender writes a great title in the subject line. Take a look at the emails to which you’ve responded. Any luck? If you are using a support ticket management system, take an opportunity to login now and see what the support tickets have consisted of for the last quarter. Depending on the services you provide, some of them may be a little too complex to write about, but others may be quick wins for FAQ’s videos that can position you as a thought leader in your industry. A tool that I like to use to identify hashtags to include in social posts is called Hashtagify.me. Do a search for your companies solution or service and see what hashtags people are using. You can adjust the search according to the results. Once you identify some relevant hashtags, head over to Twitter and enter the hashtag in the Twitter search. You can start to see the types of posts people are sharing and questions they are asking and that will help you see what you can jump in on. Assuming you are using Google Analytics, you should also have your Search Console configured so you can see some of the search queries that website visitors are entering to land on your pages. You can use these to write content to specifically answer the questions and phrases that visitors enter to land on your site. This one is pretty cool too. Answer The Public is an engine that you can plug in some of your search console findings and expand to see suggested titles and alternative topics to include. When all else fails, see what others are writing about! By setting up Google Alerts, you can schedule key term or phrase updates to come right into your inbox as soon as they are published. When your marketing team finishes publishing their content, they will ideally be appending UTM tags at the end of each of the links when they share them. They are likely sharing the content they produce on a variety of different platforms like social media, email, social ads, PPC, and maybe even some snail/direct mail. When they do this, the UTM tags they use will help the web analyst (this could be the marketer themselves) identify which of the different pieces of content inside each of the campaigns is really resonating with the website visitors and if your marketing and tech stack are configured appropriately, they will also be able to see specifically which content drove the greatest number of conversions. Let’s explore a few tools that can help make this happen. Patting oogur on the back, this application really helps marketers efficiently build links with consistent UTM’s for clear and concise Google Analytics reports. The key here is to use a platform like oogur so you can get a historical report of specific channels, sources, mediums, and campaigns inside Google Analytics without having to manipulate any data or make any guesses about web traffic. Giving your marketing team access to update your email signature to reflect current campaigns keeps messaging fresh and consistent across teams. Your tech support team can benefit from having their signature updated with a hot tech topic. Your sales team may want to display an upcoming webinar for lead generation or nurturing. Your marketing team may want to showcase the latest eBook. The point is, using the prime real estate in your email signature can be a super effective way to drive awareness and ultimately leads that fill the sales funnel. If you haven’t heard of Leadfeeder yet, I highly recommend checking it out. I learned about this website visitor tracking solution from someone in my network. Leadfeeder is, to put it simply, a product that serves B2B clients, so they can understand which companies visit their website, where they’re clicking and how to connect with these leads and turn them into prospective customers for sales nurturing. 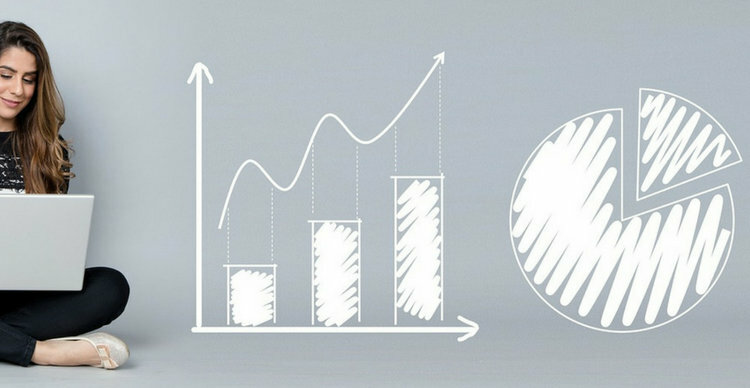 Its highly accurate data is made possible by its partnership with Google Analytics—and this is what makes Leadfeeder standout from other website visitor and sales intelligence tools I have found. Plus, it offers many CRM and Zapier integrations to your favorite tools so you can build more effective marketing and sales processes from top to bottom. For marketers specifically, it is also a great way to test your efforts to see what is working in your campaigns and what is not working, such as CPC and email marketing, pages on the website with low click-through, or gated content that is not receiving traffic, and much more. For this specific use case, what I really, really love about Leadfeeder, is its ability to segment your incoming web traffic by UTM tags. This platform runs off of your Google Analytics reports, so it is imperative that you are diligent in tagging your inbound links so you can get really granular with your reporting. Leadfeeder also, once you have your account set up and connected with Google Analytics, tells you the names of the companies that have visited your website based on the network name of the company as identified by IP address inside Google Analytics. From there, you can connect to LinkedIn within Leadfeeder to see who in your CRM or LinkedIn contacts you may want to reach out to while the website visitor is still “hot.” By segmenting by UTM tag in Leadfeeder, you can then drill down into something as specific as which graphic caught their attention enough to have them click-through. You can sign up for a free 14-day Leadfeeder trial to see all the features and give it a test run. 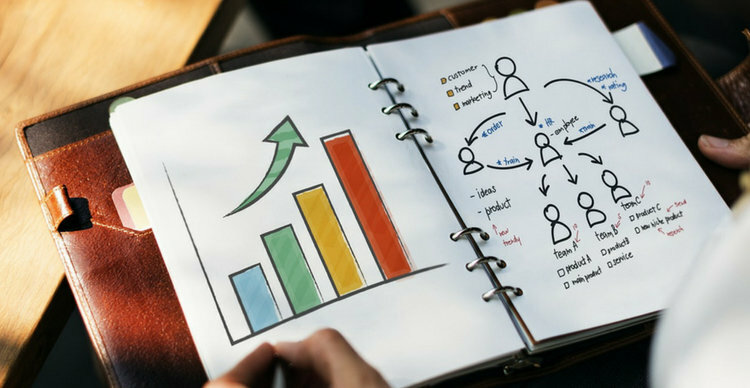 They even backload in 30 days of your prior website traffic activity so you can hit the ground running with recent data to start connecting with leads that matter. By using lead generation forms on your website combined with marketing plugins or add-ons, you can connect your CRM (Hubspot or Salesforce, as examples) to pick up data like which link with specific UTM tag a user entered your website from, or the number of pages a lead visited, and which piece of content they saw before taking the step to give you their information to become a lead. Supplying your sales team with this data inside the platform they live within helps them have relevant, informed conversations with leads and gets them one step further in the deal process. Don’t forget to grant them access to all the great content that you are creating and sharing in your campaigns! They may receive questions that you may have already created cornerstone content around and they can look like an instant hero to your potential new customer! These are my suggestions. What do you do to connect your sales and marketing teams? If you have signed up for an email signature management platform, you’re ahead of the game when it comes to taking advantage of one of the most personal means of presenting calls to action in your everyday communication. If you haven’t yet, we recommend taking a look at the available platforms to help with managing your team’s signatures. Think about how many 1:1 emails you send out daily. You are breaking through the noise of automated emails and hitting inboxes of your VIP’s directly. They open the email because you are addressing them directly. They get email on all their devices because it is the primary means of business communication. In addition to the personal message you send to the contact, you have the opportunity to engage them in yet another way. Including a beautiful email signature with a CTA prompting them to learn more about your company’s current deal, event, ebook, blog post, or whitepaper, is such an effective way to send a relevant message to an already engaged contact. Leading the marketing for an Indianapolis software company, one of the things that I took up on myself was ensuring that our team had consistent email signatures. If we had an event to promote, a tool that we wanted to share, or a product announcement, I would create my signature first. Once I was satisfied with my signature, I would copy and paste it in an email and send it to the rest of the team. It never failed. We would spend HOURS revising alignment, font, links, etc… It was really a pain. Take a tool like xink.io, for example. 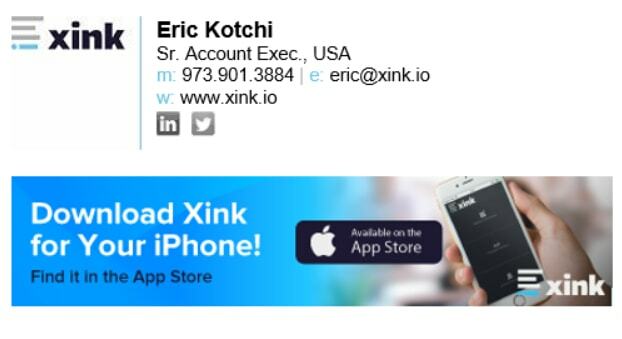 Once the application is enabled throughout the company’s overarching email system, the xink platform enables the marketing team to create unique signatures that automatically update in the footer of the designated category of users defined in the platform. It may make sense for your support team to have a different CTA than your sales team. An example may be a link to an FAQ document or a how-to video that answers the top received question from customers. These are some examples to give you ideas. Email signature platforms provide analytics in addition to the management features. You can expect to see data like how many times your CTA was clicked, the number of opens, and more. Some platforms offer the enablement of standard UTM tagging. However, if you really want to drill down into the signature campaign traffic, including which CTA specifically drove the greatest number of leads, we recommend custom UTM tagging. 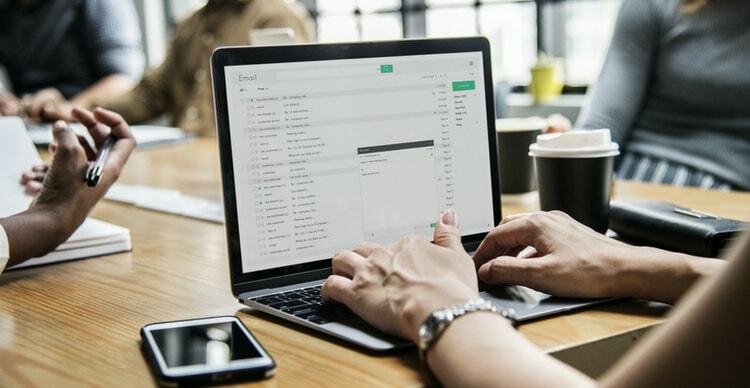 Using a tool like oogur, you can easily build links for each individual email signature marketing campaign, segment or group of team members, and clearly identify and track the specific content that drove the greatest amount of traffic and conversions. I created another post that explains how to see the data in Google Analytics. Check it out here. Now the question becomes: To include NPS voting or not? p.s. 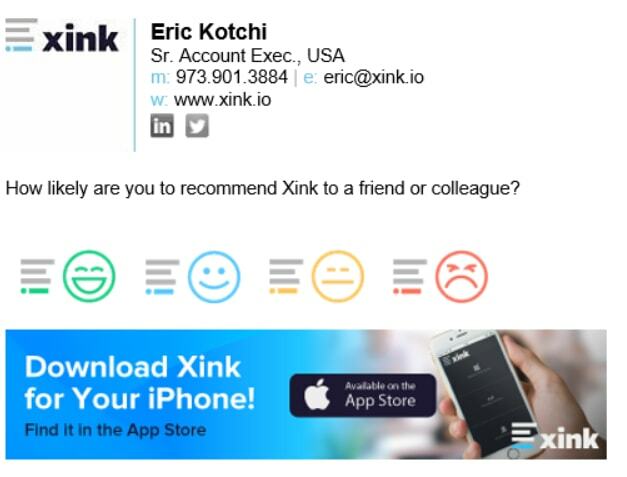 You can get a FREE TRIAL of Xink! Have you seen creative email signatures? We’d love to hear about them in the comments! Affiliate marketing seems like a win-win situation. Hordes of eager bloggers who have established themselves in the blogosphere passionately recommend and advocate for your brand, steer consumers towards your retail site, and take a tidy commission for their efforts. Yes, the dream scenario can happen. However, there are ways you can excel in this…and ways it can go disastrously wrong. Here are a few tips to ensure that the wrong affiliate partners don’t end up representing your precious brand. Whether you are running affiliate marketing in-house or working with an affiliate marketing company, this post will help you run or oversee a credible campaign that you can be proud of. As with any type of advertising or marketing, too much of anything is a good indication that things may not be going well. Any barrage of emails, social posts or blog mentions about a particular brand or product is not a positive. You, your affiliate marketing employee or agency should have the talent and discretion to expertly advocate for your brand consistently yet subtly. We all know the dangers of too much advertising, so make sure your team shows restraint. 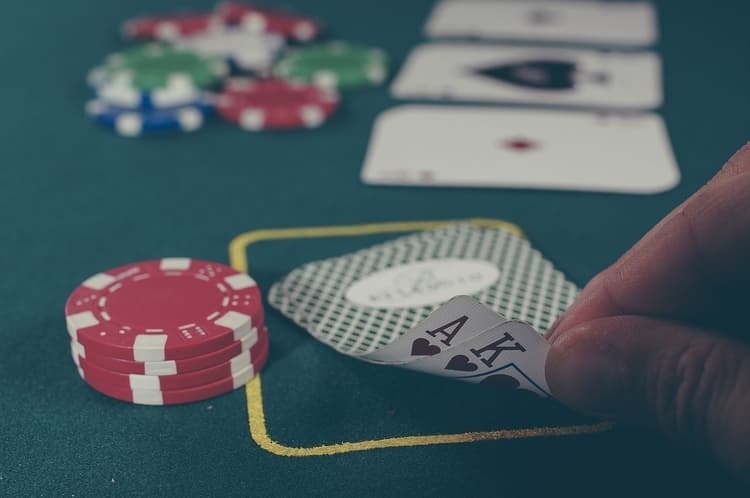 Aggressive SEO tactics, spammy correspondence, and other heavy-handed tactics would indicate that this affiliate partner doesn’t have much of a connection with their audience. There are plenty of talented bloggers out there who do the right thing, so keep looking. Bloggers succeed because of the honest connection they develop with their audience; authenticity is their stock in trade. So, why would you want someone telling folks about your product or service without ever trying it first? Short answer: you don’t. There’s a lot of ways this could go wrong…the first one being the obvious experience of a blogger clearly not knowing the ins and outs of your product. You want personal input and guidance from your affiliate partner, and, if it’s clear to you that they haven’t used your product, it’ll be clear to the readers also. Another indication is excessive copying and pasting of your website copy on their page. Sure, you want some of your messaging and details to be reported, but when the page is full of other people’s writing, it’s a safe assumption that the affiliate didn’t take much time to work with what you gave them. Point being, you should send all of your affiliate partners product from your brand and ensure they experience your brand before they vouch for it. Performance-based content producers got to where they are by generating awesome content. Plain and simple. Their opinions and writing style were entertaining and informative enough that their audience was drawn to them and stuck around to the point where the content creator could start monetizing their site. Unfortunately, sometimes success can overtake quality. Any vetting process of potential partners needs to include a hard look at any websites the affiliate partner is using. Look for clear examples of their content to be prominent and featured on the first page you see. If it’s stacked with banner ads, links, and random products, that may be a red flag, and you should visualize how upset you’d be seeing your brand plugged in on a busy splash of ads and links. Now, there are infinite numbers of niches to dive into on the Internet. From wholesome to dark, young to old, simple to future tech…it’s all out there. And while there are some lifestyle bloggers that have a big and diverse enough voice to cover a wide range of products, most have made their name by covering a specific subject. So, if you are selling crochet supplies and the niche expert blogger with thousands of loyal crochet fans starts reviewing energy drinks or sports cars, you might want to reconsider. Look, this isn’t an easy line of work to be in, and some affiliates might take on some out-of-place products to help pay the rent. Some might even have the self-deprecating and humorous style to pull off an off-topic review, and that should be acknowledged. Generally speaking, however, it’s a good idea to monitor your affiliate partners for topic and tone and enlist the experts to ply their crafts. Also, it’s possible one of these bloggers has posted a controversial statement in the past, either contrary to your beliefs or just plain offensive. You might not want to be involved in that…the Internet never forgets. In case you missed it, here’s a few examples of how brands have gone awry. Do you have any affiliate marketing tips? We would love to hear from you! This guest post was written by Kristen Matthews. 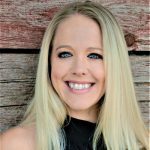 Kristen does freelance influencer, affiliate and content marketing for B2C and B2B brands. She can be found on Twitter @KristenWords. Are You Trying to Understand the Google Analytics Attribution Model Reports? On my content creation mission, I found a great resource for Google Analytics information that I wanted to share. Have you heard of LovesData? Benjamin breaks down some of the most frequently asked questions from GA users. He manages several digital marketing courses online as well as educational videos like the one below on his LovesData YouTube channel. I picked this video because it supports the reason that you should be using oogur. In order to clearly see where your incoming traffic and leads are coming from, you need to do some pre-work for your attribution reports to be effective. If you leave your content up for GA to interpret for you, you won’t get completely accurate data. For example: If you create a blog post and then share it with your favorite Slack community, all of those clicks and conversions, unless you have tagged them with UTM tags, are going to show up in your GA reports as Direct Traffic. You know that isn’t right, but you won’t be able to tell the difference without the UTM tags clarifying this traffic source for you. Sign up for an oogur account to get started with UTM tags. Answer these questions for me in the comments please! After watching the video, what do you think about the different models? How are you measuring success now? Do you currently favor one model over the other in your Google Analytics console?